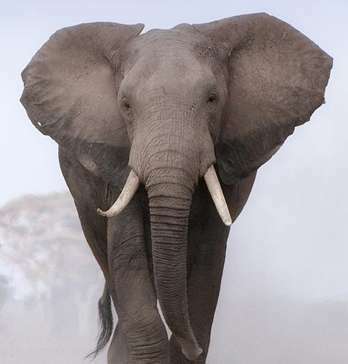 Body size has been shown to affect both rates and, as a result, influences an organism's thermal limits – big species are generally able to deal with colder temperatures than smaller species and vice versa. This has been used to explain Bergmann's rule, the geographic pattern of increasing size with decreasing temperature that is seen in some groups of animals. However, after looking at the distribution of body sizes across temperatures on Earth, the scientists saw that birds and mammals of nearly every size live basically everywhere. 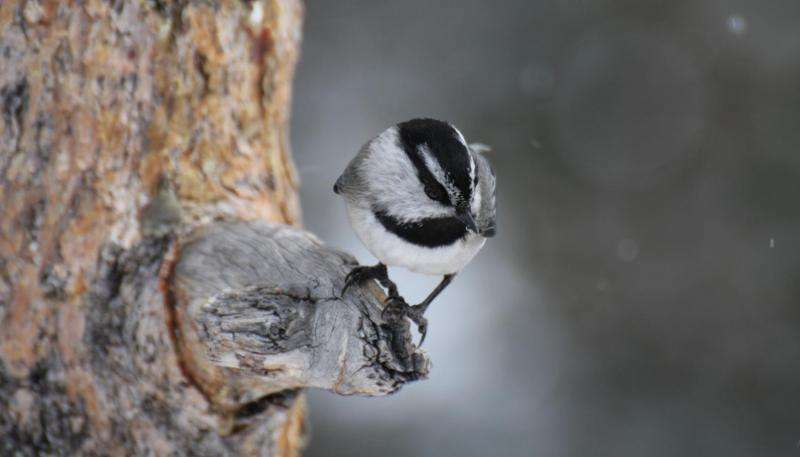 Tiny chickadees have adapted to survive cold Alaskan winters. "We were interested in understanding ways other than body size that species can adapt their physiology and morphology in order to deal with environmental temperatures," Fristoe said, "So we developed a method of measuring adaptation to the thermal environment independent of body size. We incorporated changes in both the rate of heat production via a species' metabolism as well as thermal conductance - the loss of bodily heat to the environment." "Our ideas build on the Scholander-Irving model of heat transfer, which has been around for over 60 years," said Fristoe, who is the lead author of the study. "However, it has only become recently possible to test these types of questions at such a large scale because of the growing availability of physiological data." "It was possible to adapt to cold environments, for example, by either increasing metabolic heat production, decreasing thermal conductance, or both - the interaction between the two is what really mattered," Fristoe said. "Our study extends on a classic idea in thermal physiology in order to understand adaptations to temperatures across a global scale that goes beyond body size." "Unraveling these various avenues of adaptation to thermal environments has important implications for understanding how species respond to past, present and future climate change," he added.